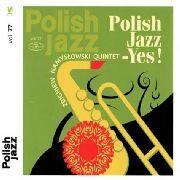 NAMYSLOWSKI ZBIGNIEW QUINTET - CD POLISH JAZZ - YES ! 'POLISH JAZZ VOL. 77' - A collection of recordings from 2016, starring Polish jazz legend Zbigniew Namyslowski.